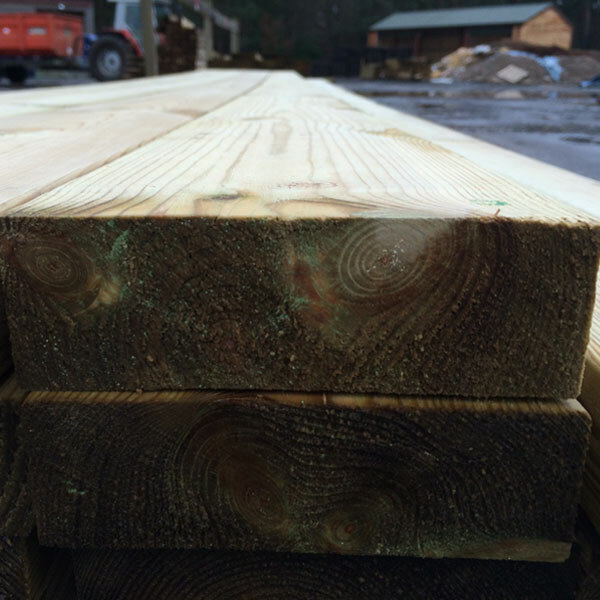 High quality regularised (consistent dimension) timber, structurally graded to C16 as minimum, kiln dried and pressure treated timber (treated to HC3). Regularised by planing all round with ‘eased’ (rounded) corners for better handling than standard sawn carcassing. High Pressure treated with Tanalith ‘E8000’ (or similar). Kiln dried to help improve stability and straightness and uptake of treatment. Strength graded to a minimum C16 for structural performance. It is important that all cut ends are re-sealed with Ensele or other suitable treatment. All of our softwoods are responsibly sourced.